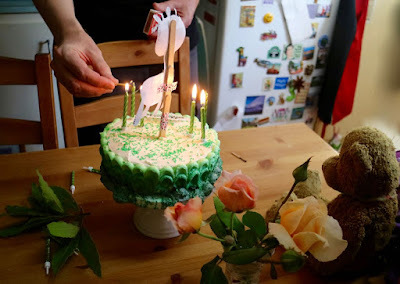 For my birthday this year I revisited a favourite cake. 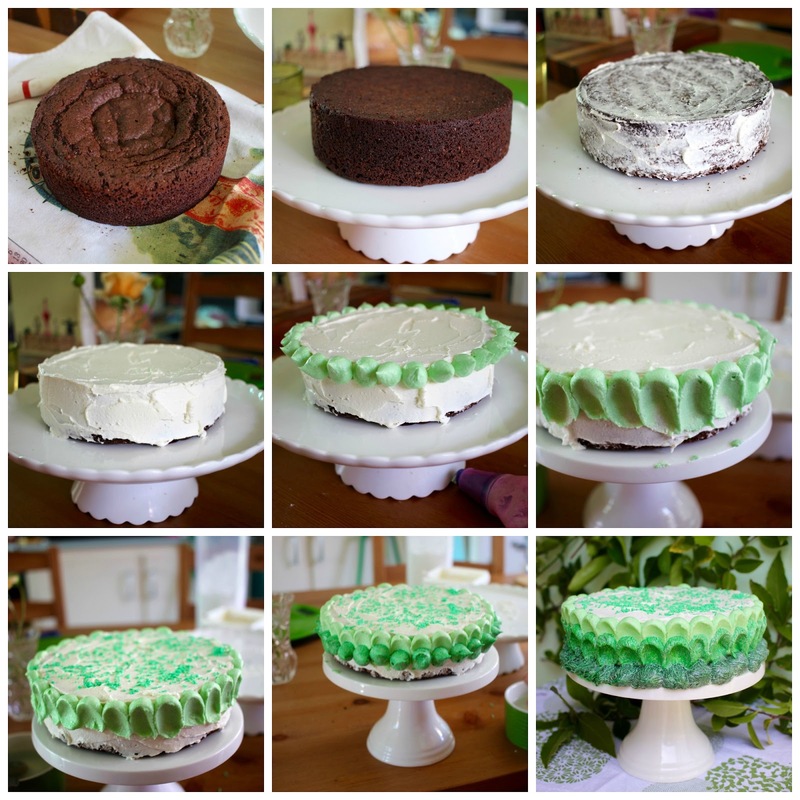 I loved both the rich chocolate cake and decorating with green icing. It is like a meeting of my favourite things. So why revist? I had a few tweaks I wanted to try. Firstly I made the chocolate cake vegan. Secondly I thought it would look really cool to photograph it in front of the mural in my backyard. 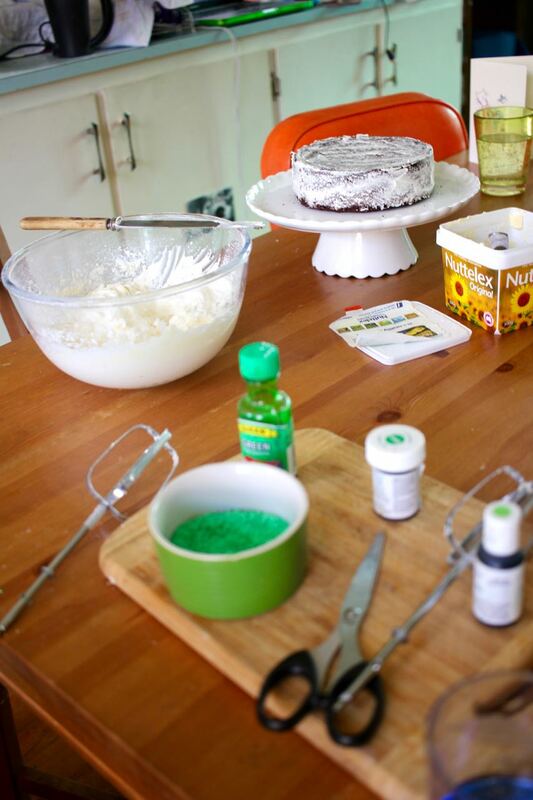 And why not make a cake I love! Another reason to make the cake was because since making that cake, I have a better selection of green food dyes. They don't get used often. I started to take step by step photos. Midway through the decorating, my neighbour visited and I sort of forgot to take the photos. But you might notice a few things here. Firstly the cake sunk more than the non vegan cake. So I turned it upside down. It looked better when I decorated the cake but when I cut it into wedges, they were so crumbly down the bottom I didn't bother to photograph them. Then I piped the first row of green dots around the cake. But when I went to use the back of a spoon to smoodge down each icing dot, I found that I could not get the angle right unless the cake was right at the edge of the cake stand. It would not work on the larger cake stand and I had to revert to my smaller cake stand so I could have the bowl of the spoon pressing downwards on each dot of icing and the handle straight down. And finally, I was lazy and didn't clean out the piping bag between each row of colour to make sure they were clean. So you can really see the marbled effect in the last layer. Despite all the problems, I was still pleased with the cake. It looked and tasted lovely. Though I was happy to wipe off some of the icing which was a bit sweet. Once the cake was made, E took Sylvia to the library and I stayed home and took photos of my cake. Sadly, I had to give up my idea of photographing my cake in the backyard. It was such a sunny day that the light was too bright for any decent photos. Instead I pruned some of my plants (that needed it) and arranged them in a better lit space. You might also notice a little green giraffe. Sylvia and I both made one for a bit of fun in a quiet moment! As you do! For dinner, we had booked to go to I Carusi Pizza in East Brunswick. As we were leaving my dad and three older nieces arrived with a mars bar doughnut from Bistro Morgan. It looked really impressive with a syringe of caramel stuck into it. The pizza was lovely. E had a zucchini, chilli and mint one and I had a potato and rosemary one. Sylvia had her usual margherita. The dessert pizza looked so tempting but we had cake and doughnut at home. I must return to try it. So instead of dessert pizza, we came home to the cake. 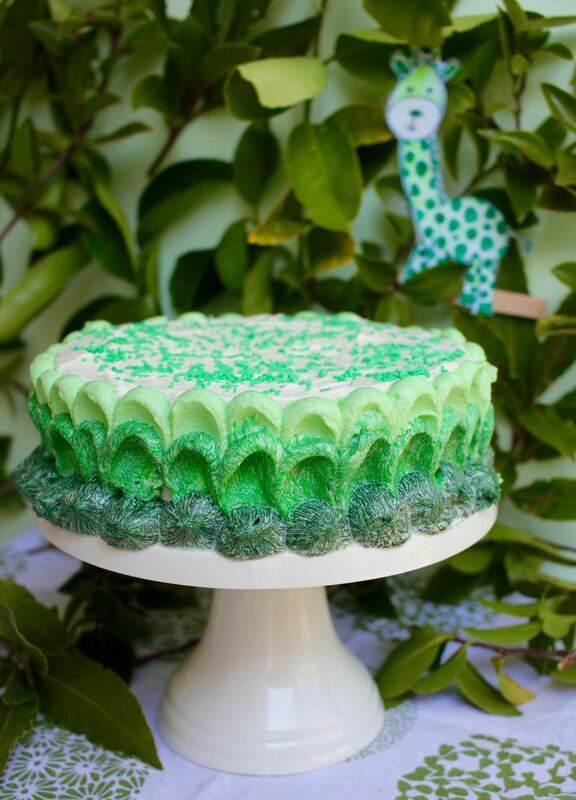 By then Sylvia had decided her bearded green giraffe would be a cake topper. We also had roses from the garden. And candles. She was tired and didn't have much cake before heading to bed. As my birthday drew to a close, I was very pleased to relax with a slice of cake on the plate. It was a little crumbly and very sticky. The sort of cake to eat with a fork. Great to make a day special. I am sending this cake to Jibber Jabber's Love Cake event. Melt chocolate and butter in a small mixing bowl (in the microwave or if on stovetop use a small saucepan). Set aside. Mix the dry ingredients in a medium mixing bowl. Set aside. Beat aqua faba for a minute or two until frothy. Briefly beat in yoghurt and vinegar. Pour melted chocolate mixture and aqua faba mixture into the dry ingredients and stir until just mixed. Scrape into the prepared cake tin. Bake for about 50 minutes or until it smells cooked, the side of the cake is pulling away from the side of the tin and the skewer inserted into the centre comes out cleanly. Sit 5 minutes. Turn out and cool on a cake rack. NOTES: To make this vegan, make sure that margarine and yoghurt are vegan. I used the same buttercream frosting as I previous used, however it got a bit soft once I reached the lower row - probably from too much colouring and stirring, so next time I need to rethink this. Ah yes I remember it being your birthday a little while back. 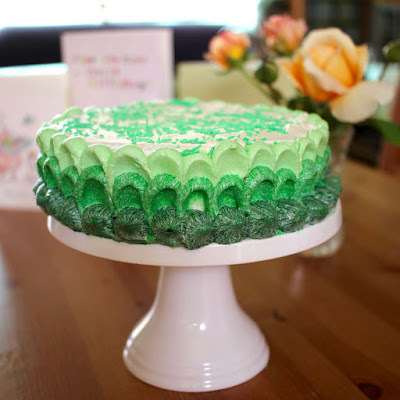 Your Birthday cake is stunning, and its so lovely to see a green version of ombre cake than those girly squirly pink ones. I've not attempted anything like this, though it is on my TO DO LIST. Its a shame you did not get to stage a photograph it near your mural, but its still lovely, esp with the handmade ggg in the background too. Funny how going outside to take a pic can work against you - being too bright. I was interested to see that you used aquafaba in your cake too, with success. I've tried it in a carrot cake a few weeks back and it was an absolute disaster - looked good going in the oven but that was the best it got as coming out it had sunk massivey! Happy birthday! 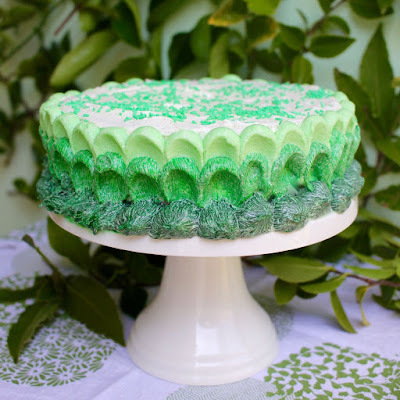 Such a gorgeous cake to celebrate - everything looks better in green. And in green and ombre! The cake topper is too cute. Happy birthday!! Your cake looks lovely. Happy birthday Johanna! 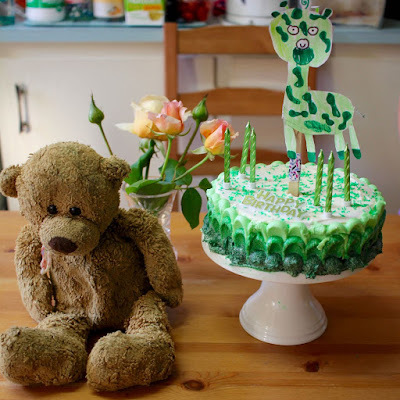 What a beautiful cake and that giraffe is so cute! Happy belated birthday! I don't think it mattered that you didn't clean out the piping bag between layers, I like the marbled effect if gave you. 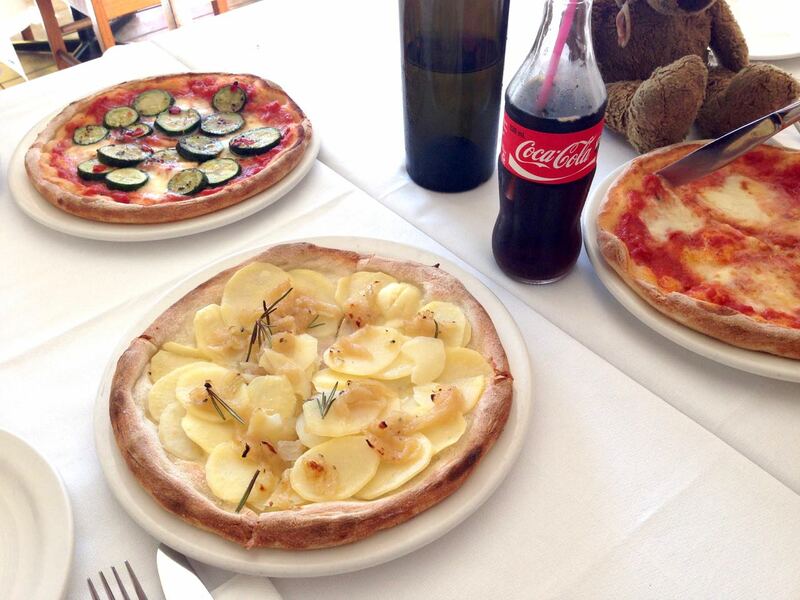 The pizza looks good too. I hope you had a wonderful day Johanna! ps. Sylvia's giraffe is so cute! I just saw this post! Happy belated bday! Your cake looks amazing!! I love an ombre cake but I'm far too heavy handed to make it work for me. The green giraffe topper is just perfect! Chocolate blackberry cupcakes with hearts!